These are the Iconic Syracuse restaurants. Follow the series here. We’ll be back next Thursday. Pop quiz: You have friends coming to town that have never visited before. Where do you take them for dinner? Syracuse’s rich restaurant history mirrors its ethnic fabric. Grimaldi’s and Giovanni’s were upscale red sauce Italian restaurants that fed the city for years on the East side. Weber’s and Danzer’s used to bring German food to blue-collar families on the North side. Tipp Hill’s pubs were the gathering spots for the the city’s Irish population. It’s city known for its family-owned, ethnically-driven fare. I struggled when creating this list because there are some excellent restaurants that I wouldn’t consider iconic. For instance, I really like Ironwood in Manlius but it’s not would I would consider a local food icon. It’s been around for a little while, does a great job with food, but it’s not a restaurant synonymous with local food. I also don’t think longevity makes you an icon. Take Angotti’s Family Restaurant. It’s been around for more than 50 years and I ate there once a week for probably about 5 to 6 years. The food is good and it has a long list of fans, but is it iconic or one just of those great family-owned businesses that have been around for decades? I cannot go back in time for the long-shuttered icons, otherwise names like Sterio’s Landmark, Aunt Josie’s and Ca-Ro-Ma’s would appear. This list about a game of word association that you play with food. You say, “Buffalo,” and I say chicken wings at Duff’s, but I could also say beef on a weck at Charlie The Butcher or Schwabl’s, Jim’s Steakout, spaghetti parm at Chef’s, or Salvatore’s Italian Gardens. You say, “Rochester,” and I say, “Garbage plate,” though I think the pork at Sticky Lips Pit Barbecue probably earns a mention. So, when I say, “Syracuse,” what do you say? I bet that hit the note somewhere below. They almost get excluded for changing up their menu. It used to be that the grill at Heid’s of Liverpool produced only Hofmann’s hot dogs or coneys and grilled cheese sandwiches. The condiments were spicy German mustard and onions (there may have been relish). That was it. That was the list. In the interest of serving the hungry people of the Greater Syracuse area, they added french fries and onion rings, as well as ketchup. Get there on a sunny day at lunch or dinnertime and expect to wait in line for cafeteria-style service. 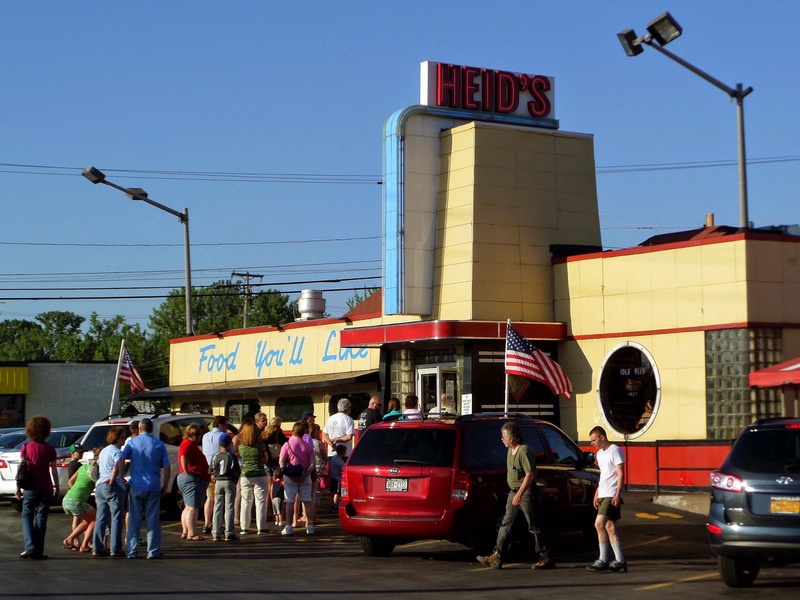 Heid’s is a restaurant, a geographic landmark, and a local institution. It’s most certainly an icon. Haters are going to hate, but one cannot dispute the notoriety that the Dinosaur Barbque has received and the attention it has brought to Syracuse. The mystique was ruined for me back in the late 90s/early 2000s when people started bringing in their small children as if it were a family restaurant. Two major renovations and a massive expansion through the Northeast later, the flagship store is still packed to the gills on a daily basis. It’s not the Rendezvous, but then again, it doesn’t need to be. I mean, hey, we have the Dinosaur. Their Memphis/Kansas City hybrid of smoked pork is where they pay their bills. Once upon a time in 2001, the Tumino family opened a smallish restaurant on the North side with about 30 seats and a kitchen the size of the average home cooking space. And, if you didn’t call at least a week in advance for reservations, you would have no chance of eating there (True Story: I once made Valentine’s Day reservations there during the month of January.). 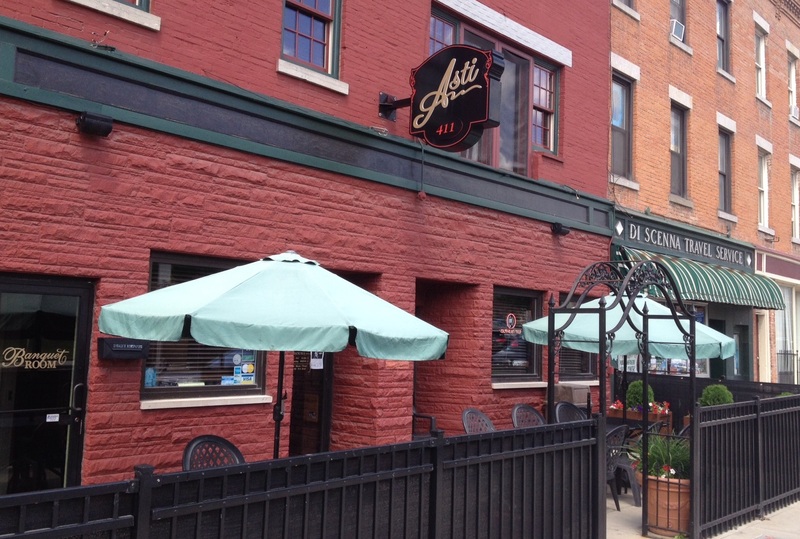 Asti Caffe has since expanded, building out a larger dining room, adding a bar, and tripling the size of the kitchen. It’s still a difficult table on the weekends, but it has filled the gap as the city’s premier upscale Italian restaurant after Grimaldi’s and Giovanni’s shut their doors. I tend to order veal or eggplant when I eat there, but I’m told everything else is pretty good too. Disclaimer: I’m totally in the bag for Laura Serway, the “La” of Laci’s Tapas Bar. She’s an unique mix of shrewd businesswoman, caring community advocate, and rapier wit. Laura and her partner Cindy Seymour opened their restaurant in the Hawley-Green area of Syracuse, and have worked to make it a magnet that draws people into the city not only for food, but to see the area’s historic charm. Inside the restaurant, you will not find a more attentive front of house staff in Syracuse. The menu is Americanized tapas, an eclectic blend of regional and international small plates inspired by the Spanish tradition. It’s impossible to walk in the door and not feel like a regular, nor can you find something on the menu that you should not consider trying. Laura and Cindy have done as much for the community at-large as it has done for the local food scene. Another toughie because every town has diners, and how do you choose between this area’s four majors? Stella’s Diner is the stalwart diner and a true entrepreneurial story. It started on the north end of Wolf Street, where lines would snake through the dining area and out the door on Sunday mornings. When it moved to its current space on the south end of Wolf in 2004, it was threatened by the sprawling footprint of the Carousel Center/Destiny USA expansion. It built anyways, the mall never made it that far, and lines still snake out the door a breakfast, lunch and dinner. Mother’s Cupboard earns respect for its lavish portions and Spartan dining room on James Street. TV host and all-around jackass Adam Richman tackled the frittata challenge for his show, which involves a 6 lb. frittata loaded with sausage, peppers and pepperoni. And eggs. And potatoes. I’m a large person that doesn’t shy away from a challenge, but the last time I was there my sister and I split a half order. The pancakes are much better. 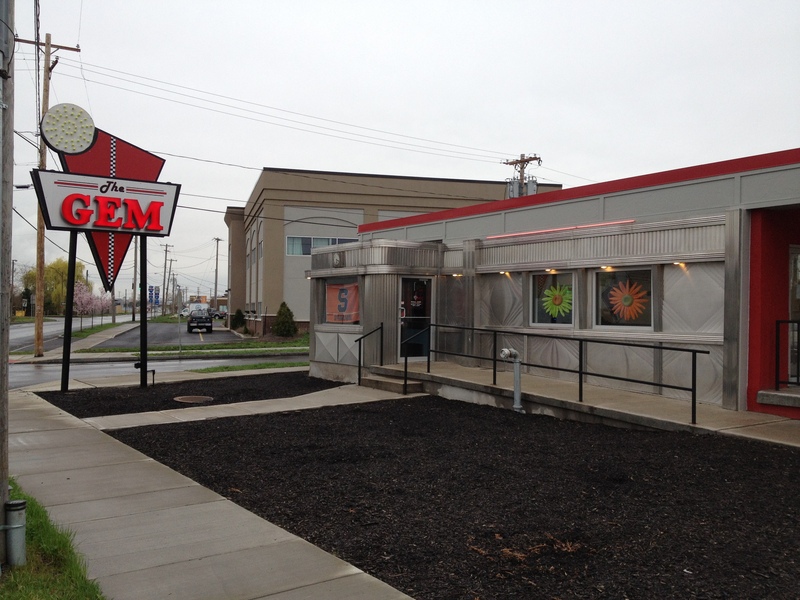 The Gem is an old-school, chrome diner car that has been revived and brought back from the dead by the former manager of MaMa Nancy’s. The latter is a truck-stop diner on the outside, but inside is one of the most underrated diners in the area. 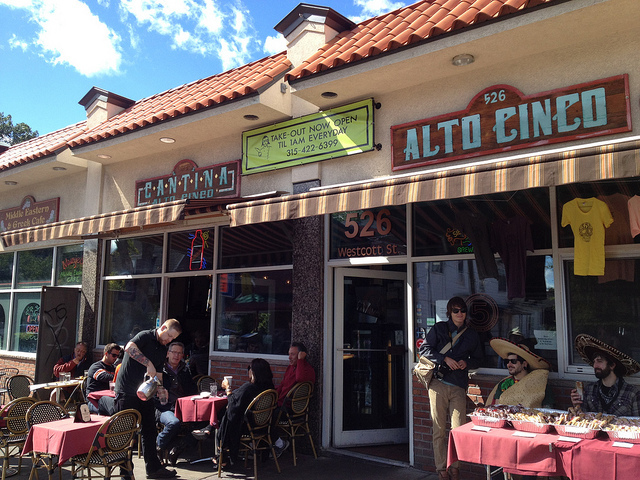 Located in the heart of Westcott Nation, Alto Cinco has been producing high-quality Mexican-inspired food since the mid-1990s. This isn’t traditional Mexican. Yes, you will get the best guacamole and chips in town. The chile relleño is the best I’ve ever had. But, I don’t remember catfish on the menus of the taquerias I visited in Las Vegas and San Diego. You will whimper with sadness when the waitress clears your plate and you realize that dinner is drawing to a close. It’s one of the most eclectic meals and crowds in Syracuse and, while not authentic, eclipses other Mexican/Latin-American restaurants in this city. Again, the haters can hate, but Pastabilities is nothing short of an icon in this area if you consider its two best-known foodstuffs: stretch bread and hot tomato oil. We covered the latter last week in the Iconic Syracuse foods. The former is not unique to Pastabilities, but the restaurant certainly popularized this bread, which earned its own space in a stand-alone bakery acrossed the street from the restaurant. The pasta is exceptional, though the meatballs are underrated. What’s great about Pastabilities is that it is two restaurants in one. At night, a busy, mid-range to upscale sit-down pasta join. At lunch, a cafeteria-style soup, salad, pizza and pasta bar where you can get a solid lunch for about the same price as a fast food restaurant. So, let’s talk about the Twin Trees empire. The Ross family (actually, they are the Rescignanos, but Ellis Island had a way of doing that with names) started on on Avery Avenue when brothers Don and Joe opened the first restaurant in the late 1950s. Too came along in the early 1970s, and TT III opened in the late 1970s. Today, there are six storefronts, but it’s really the first three that matter most. The pasta and Italian foods are fine, but it’s all about the unique strip-cut pizza and enormous chicken wings that have fed me since I was a child. Little known fact: Ever notice all of the Yankees memorabilia at the restaurants? 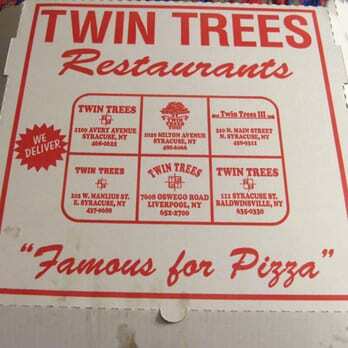 Way back in the day, Syracuse was home to the Yanks farm team and Twin Trees did all of the catering for them. U.S. Route 20 runs right along the northern end of Skaneateles Lake. In 1807, a stagecoach operator named Isaac Sherwood opened an inn and tavern that also served as home to its primary business. The building has a long, storied history, as does its neighbor The Krebs, but it’s The Sherwood that has been one of the leading names in fine dining in this city. A sweeping screened porch serves as the stage for lakeview dinners during the spring, summer and fall, while the various dining rooms host dinners. One the specialties of the house is a Yankee Pot Roast, which seems out of place for a highbrow restaurant, but fittingly right at home for building dripping in history. There are few restaurants in Syracuse to see or be seen. Had bc retained its form and founding owner, it would have made this list and qualified. Asti is on that list, and so is Rosalie’s Cucina. Another Skaneateles entry, it was opened by the namesake of Romano’s Macaroni Grill as a tribute to his sister. The architecture and menu are Tuscan-inspired, and the dining room is the preferred venue of the lake village’s summer guests. It has been a longtime since I ate there (probably going on 15 years) but I remember the braciole as if it was yesterday. Little Known Fact: This is the restaurant where Pastabilities stretch Italian got its start. Back then it was called bone bread. The baker moved to Pasta’s years later and sold her recipe and techniques to that restaurant’s owner. Syracuse’s rich diversity extends to Southeast Asia, and the restaurant scene reflects this in with three restaurants that I am told are first rate. It’s no secret to regular readers of Al Dente that I do not enjoy Thai food. I’ve tried it and just do not enjoy it. Lemon Grass is the upscale stalwart owned by entrepreneur Max and Pook Chutinthranond, occupying a corner of the breezeway on the Southeast block of Armory Square near The Blue Tusk for more than two decades. It’s the fine dining option and I’m told the roasted duck with orange tamarind is amazing. Erawan is the popular choice for Thai in Syracuse. The unassuming building never seems to have enough parking to handle its patrons or the line of people snaking out the door at lunch and dinner. I was told that the Moo Ka Tiem is actually very good and that I am crazy for not liking it. My friend Jon, amongst many others, vote Bangkok Thai in Liverpool as the most authentic and most underrated Thai in Syracuse. I have to trust Jon on this one. 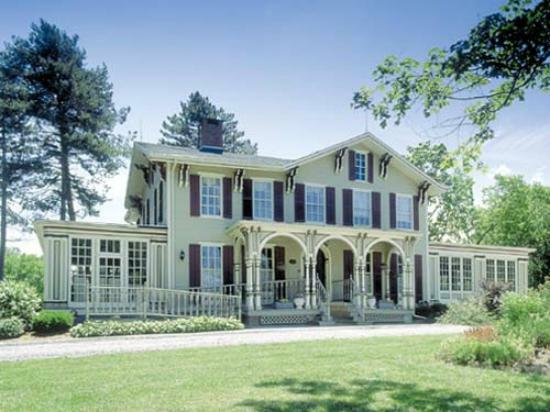 Head west to Auburn on Route 5 and you will pass the old country home that houses The Inn Between, a fine dining restaurant helmed by its owner Christopher Cesta. It is a frontrunner in the local slow food/sustainable eating movement. Cesta harvests honey from his own apiary, grows fruit in his orchard and veggies in his garden, and farms trout in a pond on the property. The menu is straight American fine dining: prime rib, oysters Rockefeller, rack of lamb. The preparation and attention to detail and craft is what puts this restaurant out in front of the local dining scene. At the other end of Route 5 in Fayetteville is another fine dining restaurant in a 19th Century house. The kitchen at Arad Evans Inn has hosted some of the area’s finest chefs, including the late Brian Shore, a local kitchen heavyweight that left us too soon. Where Inn Between is traditional American, the seasonal menu at Arad Evans is more modern: braised short ribs over maple-cheddar grits, pan-fried skin-on duck breast with balsamic reduction. The kitchen also offers a vegetarian and vegan menu. It’s a restaurant a little out of reach, but creates a memorable experience. And you can get quite a sampling of what’s happening in the bistro. I’ll throw two out there from my old stomping grounds east of Syracuse, but still within a 30 minute drive of downtown. First and foremost the largest, most extensive wine list in all of Central New York, second the food and service to match the wine list. When late spring and summer time bring beautiful evenings, there is no finer place than the lawn overlooking Cazenovia lake. Second I’d list the Brae Loch Inn. The last of the inns run by the Barr family, it is an icon along US Route 20. From the traditional Haggis and long list of scotches, to their highly regarded Lobster Mac and Cheese, this was our favorite place to go when I wasn’t allowed to have favorites in Madison County. It is still on the must stop at list whenever we go back to town. Lastly, and this one probably falls too far out of the geographic footprint, but if you ever get the chance to go to the Horned Dorset in Leonardsville. It will be one of the premier dining experiences you have ever had. Once again my brain and fingers moved at different speeds. The first listed restaurant in my comment is the Brewster Inn. Listen, I don’t disagree, but I draw the line at the immediate suburbs of Syracuse. Since you included Skaneateles I figured Cazenovia was fair game. Don’t get me wrong, I think the list is quite extensive, and well done. I strongly believe that the whole corridor between Auburn and Utica has some of the best culinary options and traditions in the whole country. Even I certainly took it for granted when I lived there. Yes. Funny you say that… Catch my grocery list post when I finish writing it today.